Round too baby!!! Lucky monkey is rocking the last drop tonight best place to be this Saturday!! 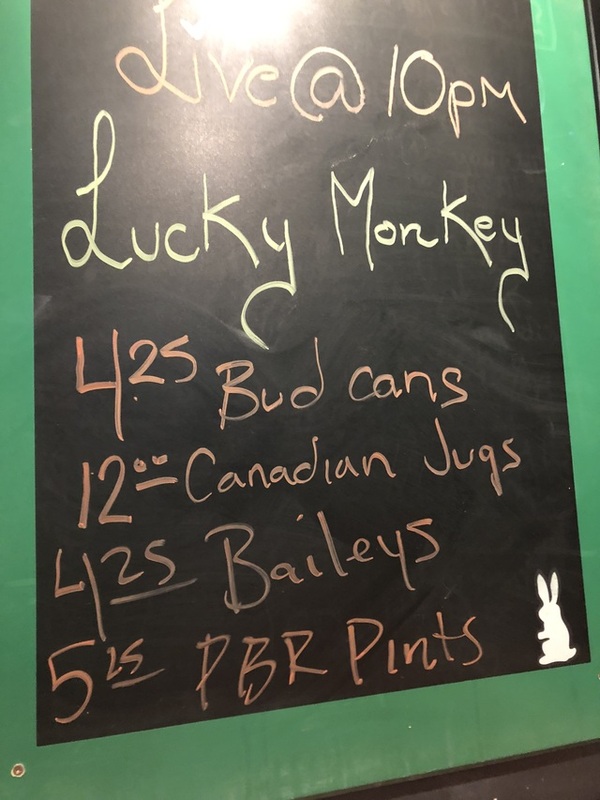 4.25 can Bud 12$ Canadian jugs 5.25 PBR pints 4.25 shots of ever flavour of Baileys ! !